“The sands of time are running out, and I don’t want to die leaving the record uncorrected,” says Diane Ravitch in an interview with Education Week reporter Diane Viadero. Ravitch’s latest book, equal parts intriguing and perplexing, is an attempt to do just that. Ravitch is Research Professor of Education at New York University and a senior fellow at the Brookings Institute. After decades of espousing views on contemporary strategies to “reform” public schools that aligned directly with most conservative views, Ravitch does a 180 and almost completely reverses the positions she made a career of endorsing. Ravitch is a talented writer who makes complex cultural and political entanglements easy for the lay reader to follow. 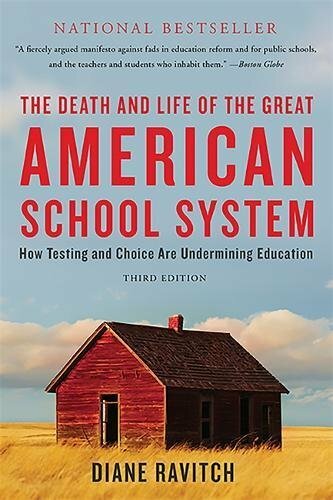 The major premise of her latest book is that the focus on standards and curriculum that followed 1983’s A Nation at Risk was a positive step for public education, and that the movement away from this work in the mid-nineties toward a model that embraced testing and accountability and resulted in 2002’s No Child Left Behind legislation has had a negative impact on public education. The book is mostly a historical account of how America arrived at this juncture (or got itself into this mess, depending on your perspective). She discusses the role of politicians, foundations, and teacher associations; gives examples of attempted reforms in urban areas; and describes the drawbacks of school choice, merit pay, and several of the current federally intrusive policies. Few would take issue with her account of the subjects she addresses. The book’s final chapter, “Lessons Learned,” includes suggestions for improvement, but for the most part, lacks specifics. While the book does make a distinction between merit pay and more progressive, contemporary pay for performance plans; refers to some of the views of a few major players on the educational landscape such as Linda Darling-Hammond and E. D. Hirsch; and at one point briefly mentions one particularly promising movement, Professional Learning Communities, it also fails to include any discussion of contemporary best practice research by Charlotte Danielson, Robert Marzano, Doug Reeves, or others, which has significantly elevated student achievement in many places across the country. Ravitch shoots high but lands somewhere in the middle. For one thing, many in the education profession would question the premise that A Nation at Risk was a positive force for good. In many ways, it was as politically motivated as anything else that found itself into mainstream discussion, and subsequent reports refuting many of its assertions were squelched by future Republican administrations (see David Berliner’s The Manufactured Crisis). For another, she seemingly admits her involvement in the movement that led up to the conundrum this country now faces without accepting any culpability for the influence she had on the decision-makers and power brokers of the last decade of the twentieth century that resulted in this nation’s current policies. A cynic might question if her motives are pure or if she is trying to curry favor with either the current Obama Administration or the next Republican one. Until proven otherwise, it is probably best to accept that her book is what she says it is—an attempt to set the record straight.